Saliva production is an important aspect of your oral health. Saliva helps to protect teeth by washing away food residue from teeth. It can also neutralize the acids which cause plaque. Watch this video to find out more about the role saliva plays in keeping your mouth healthy. The clip shows how saliva supplies important minerals which help prevent tooth decay. It then discusses xerostomia, or dry mouth, which can be caused by certain medications. To learn more, check out the full video. At Park 56 Dental , we can help you to avoid dry mouth. To find out more about our dental services, visit our website or call us at (646) 783-3529. Let us help you safeguard the health and beauty of your smile. 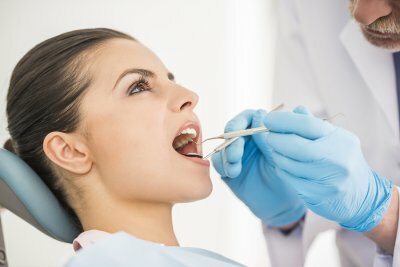 The best way to ensure that you don’t have costly and painful dental problems later in life is by visiting a top dentist in NYC for tips on preventative dental care. Maintaining proper oral hygiene, visiting the dentist office for regular dental cleanings, and dental fillings can help you avoid having to undergo smile restoration services. Here are some of the primary reasons why preventative dentistry is important. Visiting your dentist office regularly for checkups and teeth cleanings will allow your dentist to get to monitor your dental health. If you show any early warning signs of oral disease, gingivitis, tooth decay, or gum disease, you can obtain treatment before the issue becomes a serious problem. The sooner you treat dental problems, the more effective the treatment will be. Cavities and tooth decay can result from poor diet and poor oral hygiene. They can also lead to more serious problems, like tooth loss, bone loss, receding gums, and painful infections. Preventative dental care includes treatments like fluoride, professional dental cleanings, and advice on how to keep your teeth and mouth healthy. This will help you avoid cavities and tooth decay. When left untreated, many dental problems can become severe, and can threaten the health of your teeth, gums, and heart. 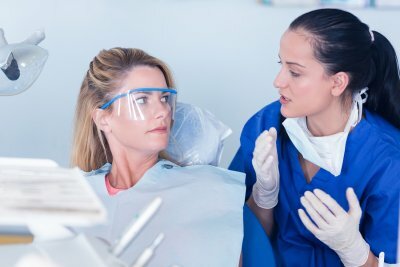 A cavity that doesn’t receive a dental filling can cause you to lose a tooth, necessitating an expensive emergency dental procedure, like a root canal or dental implant. Dental issues that aren’t noticed or treated can cause tooth abscesses and tooth infections. A tooth infection can spread to other parts of your body and increase your risk of cardiac disease, or a stroke. At Park 56 Dental, you can get preventative dental care from the best dentists in NYC . Our skilled, experienced staff can help you maintain excellent oral hygiene, protecting your teeth and gums from disease. To schedule a free consultation, call us today at (646) 783-3529.